← Who Lies More – Men or Women? Carlos Slim Helú, the Mexican Telecoms Mogul who is the richest man in the world worth US$53.5 billion. William Gates III aka Bill Gates, founder of Windows Microsoft worth US$ 53 Billion, currently 2nd richest man in the world after having held the No.1 spot undisputed for over 9 years. Warren Buffett, the founder of Berkshire Hathaway worth US$47 Billion dollars and the 3rd richest man and with a reputation of being quite strict with how he spends his money. Lakshmi Mittal from Mittal Steel worth US$28.7 Billion. What about the Donald? Donald Trump, the owner of Trump Hotels and host of The Apprentice. He is worth a US$2 Billion and sits as the 488th Richest man in the world. Barack Obama, the President of the most powerful country in the world makes him the most powerful man in the World right now. Nelson Mandela – Who needs no introduction. Will Smith, Christiano Ronaldo and the list goes on and on and on. Anyway, this articles is to tell you about the 5 richest or most influential people you have probably never heard about. 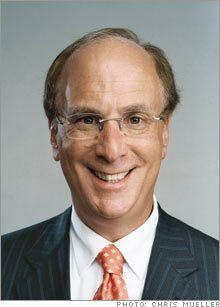 Laurence D. Fink a.k.a. Larry Fink. This 57 year old is the founder and CEO of Black Rock, which is probably the most influential company in the world. As of September 30, 2010, BlackRock’s assets under management was a total of US$3.446 trillion across equity, fixed income, cash management, alternative investment, real estate and advisory strategies. To put this figure in perspective, Africa’s total GDP is 1.184 trillion. So this man’s company handles more than triple of the entire continent of Africa’s total GDP. That is scary yet Impressive! South African’s own Patrice Motsepe. Tokyo Sexwale and all these other SA business Moguls have nothing on this guy. As the 421st Richest Man in the World (yes, he is Richer than Donald Trump) he is worth 2.3 Billion Dollars. That is just over 1% of South Africa’s GDP. As a Johannesburg mining magnate, he is Africa’s first black billionaire. Born in the sprawling black township of Soweto and then trained as a lawyer, he became first black partner at Bowman Gilfillan law firm in Johannesburg, before starting a contracting business. He then bought low-producing gold mine shafts in 1994, turned them profitable using lean, mean management style. Since then he built $1.3 billion (sales) mining conglomerate, African Rainbow Minerals (ARM). Lastly, he also holds a 6.2% stake in Sanlam. This is a posthoumous award that goes to Samuel Moore “Sam” Walton (March 29, 1918 – April 5, 1992) who is the man who founded Walmart. Walmart has an impressive $405 billion in annual sales, 2 million employees and more than 8,400 stores. This man is without a doubt the World’s most extravagant Royal. The 43 year old Sultan of Brunei -Hassanal Bolkiah. For those of you that don’t know, Brunei is a sovereign state located on the north coast of the island of Borneo, in Southeast Asia with a population of only 330,000. The citizens are not charged any income tax and government provides for all medical services and subsidizes housing and rice. As for the Sultans Extravagance, it is said that he has at least 7,000 cars and has bought over US$789 million worth of high-performance cars. According to Guinness World Records the Sultan’s personal private collection has more than 600 Rolls-Royces, more than 450 Ferraris, and 134 Koenigseggs — the largest collection of that marque in the world. For personal use, the sultan has two Boeing 747-400s furnished with gold plated furniture with an estimated value of $233 million including $3 million on furniture each. He also owns six smaller planes and two helicopters. As if that is not enough, the Sultan also has a private submarine which is named after him, “BDS Bolkiah” for his own private use in case of emergency. He also operates a $3 billion theme park called Jerudong Park. To top it all off, the Sultan also spent lavishly on his birthday and had the King of Pop Michael Jackson perform live in Brunei in 1998 which cost US$16.2 million dollars. Among his collection are the Porsche Carrera GT, Lamborghini Diablo Jota, Porsche 959, Bugatti EB110, Bugatti Veyron (regular and Pur Sang edition), Lamborghini Murcielago LP640, Maybach 62, Jaguar XJR-15 and six Dauer 962s. He is also the owner of six models of the Ferrari FX, the original red show model of the Bentley Continental R, the only Porsche Carma made so far, the only Koenigsegg Agera CC GT, two fully operational versions of the Ferrari Mythos concept car, both of the Ferrari 456 GT Sedans, the only right hand drive Mercedes-Benz CLK-GTR in the world, five McLaren F1s including both black LM models and three Cizeta-Moroder V16T cars, 10 out of 77 made Aston Martin One-77s, the only convertible Aston Martin DB4 GT Zagato, and the only Cicero BDB Maestro ever built. 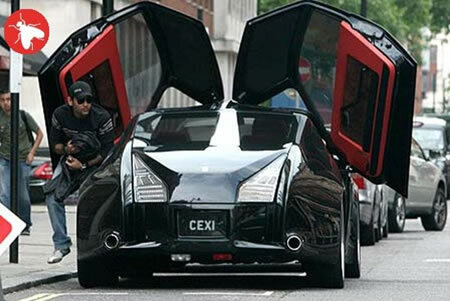 He also owns the very last Rolls-Royce Phantom VI, a 1992 state landaulette. He also possesses a Formula One car as driven by every Formula 1 World Drivers Champion since the 1980 Formula One season, particularly the ones driven in the last race for each season. A prime example of this is Jacques Villeneuve’s Williams FW19. The Sultan is the principal sponsor of the collision damage courtesy of Michael Schumacher in the 1997 European Grand Prix. He has a special interest in buying one-of-a-kind didjo cars, including the Bentley Java and Bentley Dominator 4×4, whilst leaving slightly more common race cars such as the Aston Martin AM3 or the modified Mercedes-Benz 300SL to his brother Jefri. On 30 June 2010 it was reported that the Sultan owned 130 Rolls Royces, 531 Mercedes-Benzes, 367 Ferraris, 362 Bentleys, 185 BMWs, 177 Jaguars, 160 Porsches, 20 Lamborghinis. Last, but definitely not least is the 44 year old who is the World’s Richest and most influential living Author – J K Rowling. Her life story is as magical as the fiction she writes. She was a single mother living on welfare in a coldwater flat in Edinburgh, Scotland. She completed her first story of the teenage wizard Harry Potter in 1997. A year later Harry Potter and the Sorcerer’s Stone was published in the U.S. and voila. Today she is worth a whopping 1 Billion Dollars earned from the 7 books and 6 movies that is Harry Potter. She is the 1st and only billionaire author in the entire World. The Harry Potter series has sold over 400 million copies world wide and has been translated in 65 different languages. To understand the level of influence and success of this, Harry Potter used to have World Wide Midnight releases. Pick n Pay was open at midnight just to sell the Harry Potter book when it was released. The last book in the series, Harry Potter and the Deathly Hallows became the fastest selling book in history, selling 11 million units in the first twenty-four hours of release. The Potter films have grossed more than $5 billion. The last in the series “Harry Potter and the Deathly Hollows: Part 1” debuting later this year while Part II will debut in 2011. Lastly, a Theme park “The Wizarding World of Harry Potter” is expected to open this year in Universal Studios, Orlando. 3 Responses to Who are the 5 Wealthiest or most influential people you have probably never heard of? From da 5 pipo uv just listed i only knw jk rowlings but didnt knw ha books wr translated in other languages! The stuff about the Brunei cars is full of mistakes. Go to the supercars site to get the correct info. Theres no more than 70-80 Koenigseggs IN TOTAL in the world. Cicero BDB what??? It simply doesn’t exist. On the other hand he has much more of the other “common” cars mentioned above. The article was more about the people than the cars. That being said, the list of cars was gotten from research on sites like topspeed.com & gtspirit.com e.t.c. I however checked out the link: http://www.supercars.net/gallery/129612/976/10.html Nice!